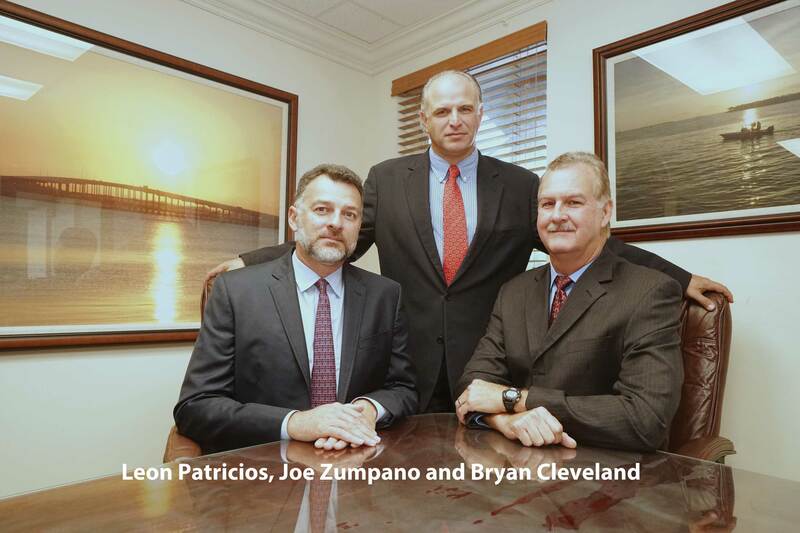 Today, the war on terrorism is being fought in the courtroom, as well as on the battlefield, says Joe Zumpano, Founder and Managing Shareholder of Zumpano Patricios & Winker. As one of the early lawyers in this area, Zumpano’s list of notable cases has helped shape aspects of this nascent field. “It’s important to remember the courage of victims of terrorism that choose to fight their battles in the courtroom,” he said. 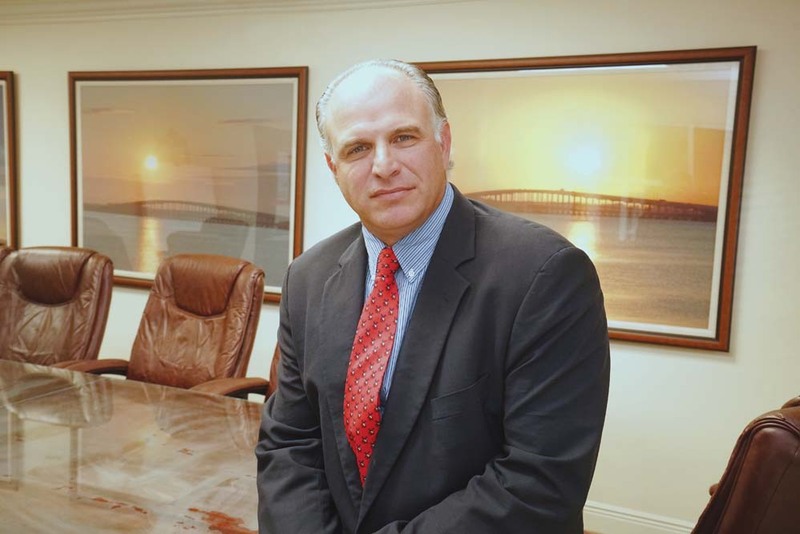 “Their path to redress for their losses is often hard fought in our courts.” South Florida Legal Guide interviewed Zumpano recently about his latest victory in a career of anti-terrorism cases. Here is a summary of that conversation. Tell us about your recent case? It dates back to 1999 in Colombia. 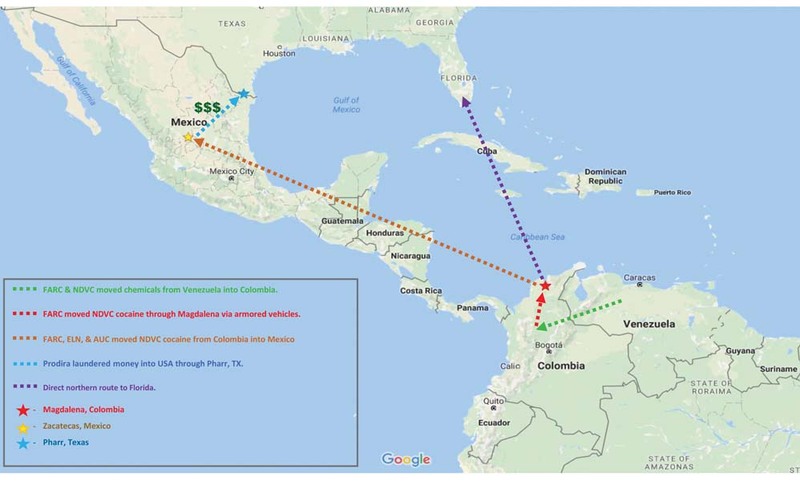 Three narco-terrorism organizations – Revolutionary Armed Forces of Colombia (FARC), National Liberation Army (ELN), and North Valley Cartel (NDVC) – were seeking to establish a direct route to move cocaine from the Magdalena River Valley to South Florida. A key property at the crossroads of that route belonged to Carlos Caballero Cormane, a former United Nations Ambassador and a staunch opponent of Colombia’s drug trafficking. On February 13, 1999, a car carrying the Ambassador was seized by ELN guerillas. Guerilla forces held Ambassador Caballero captive for 184 days. After they received a large ransom payment, they killed him and forced his son Antonio Caballero to flee to the U.S.
Fifteen years later, I tried Caballero v. FARC, et. al, on behalf of Antonio Caballero. My law partners Leon Patricios and Bryan Cleveland assisted with the trial. We established that the high-profile assassination of Ambassador Caballero would not have been carried out by any one of the co-conspirators without the knowledge of, consultations with, and the approval and acquiescence of each of the other co-conspirators. We established that the defendants were working together as a Colombian Narco-Terrorist Association (CNTA) with direct ties to Mexico’s drug cartels. We received a final judgment of $191,433,485.56 against the conspirators and two years later, after an appeal, were able to recover nearly $1 million in frozen assets for our client. To date, this is the only known case to recover assets held by a “straw man” designated under the Foreign Narcotics Kingpin Designation Act. What were conditions like in Colombia at the time? In Colombia, the Marxist rebel forces (FARC and ELN) were working together with right-wing paramilitary forces (AUC) to support the flow of drugs from their country to Mexico to the United States. While these right-wing and left-wing groups would kill each other on the battlefield by day, they frequently moved drugs for the Norte del Valle Cartel along established routes often by night. For more than a decade, the Colombian drug lords would engage the FARC and ELN for armored caravan transportation of the drugs in Colombia. They would also use the AUC to move narcotics. The FARC and AUC would transport the drugs to Mexico along a Pacific coast route. The cocaine transported to Mexico was then distributed to various Mexican cartels. The CNTA was pursuing a more direct northern route to move drugs into the United States through South Florida. The Ambassador’s property sat within the cross roads of the various caminos real that would be used by the guerillas to transport the narcotics along the northern route. How did you “connect the dots” between the three countries? We established that the Mexican cartels were operating as “agents and instrumentalities” of the Colombian narco-terrorist organizations in this case. We also found that the Mexican cartels would often place their drug-related assets in the name of “straw men” that would then attempt to launder their money in the United States. Even though some of the funds were taken across the border to Texas, some of the laundered money ended up in Florida banks. What did the trial court determine? On October 30 and 31, 2014, Circuit Court Judge Lisa S. Walsh held the trial on the case. The final judgment addressed many issues of legal interest. It also cited to guidance from the Office of Foreign Asset Control that “blocked” property under the Terrorism Risk Insurance Act included property in which a blocked person or entity has a 50% of greater interest (even if the property is in the name of a “straw man”). This particular aspect of the final judgment would prove crucial to recovery in the case. We were able to establish that the Mexican cartel agent and instrumentality of the defendants was the actual owner of the account despite their use of a “straw man” name over the account. What about the flow of funds in the case? On March 5, 2012, U.S. Immigration and Customs Enforcement (ICE) seized an armored car in Pharr, Texas. They uncovered $2 million separated into seven sealed bags. Shortly afterwards, a trained canine from the Pharr Police Department alerted officers that the currency had recently been in close or actual proximity to a significant amount of a controlled substance. Federal authorities determined that the $2 million came from Prodira Casa de Cambio S.A. de C.V., which had a U.S. address in Pharr, and was in fact a money laundering operation for a Mexican drug cartel. The U.S. government then went to court in a seizure and forfeiture action (United States of America vs. $2,000,000.00 in Currency). Because Prodira was a “straw man” for a Mexican cartel with longstanding ties to the Colombian conspirators, we established that the assets were owned by a terrorist party designated under the International Emergency Economic Powers Act. How did you track down the funds? We decided to use our intuition and take a shot in the dark. I issued subpoenas to the largest banks in Florida. We felt that if drugs were being moved to South Florida, the money trail would be nearby. On February 9, 2015, one of the subpoenas hit its mark. Regions Bank responded to the subpoena by identifying a “blocked account” in the name of “Prodira Casa SA DE CV.” Since the trial court in Caballero had found that Prodira Casa de Cambio S.A. de C.V., was in fact an agent and instrumentality of the FARC, we launched a garnishment action against the funds held by Regions Bank. While the garnishment was fiercely litigated, Circuit Court Judge Monica Gordo issued a final turnover judgment ordering money in the account be turned over to Caballero. That ruling was appealed, and on December 21, 2016, the Third District Court of Appeal affirmed the trial court’s decision. Since then Regions Bank has turned over the funds in the blocked account. It’s the first case we know of where assets were recovered from a Mexican cartel for a victim of terrorism. The case is also the first case that we know of where the assets in the name of a “straw man” specially designated narcotics kingpin were actually recovered because they truly belonged to a “blocked” entity under the International Emergency Economic Powers Act. The case also demonstrates the personal courage of a victim of these criminal organizations, and his attorneys, to stand up for their rights in court. Our history is replete with those not born here who gave their lives so that we may build a nation. In this case, a man died for standing up against those who would tear it down. What other anti-terrorist matters have you handled? In addition to the Caballero case, I had had the honor of leading a number of international litigation efforts. In the historic case of Weininger v. Castro, we collected almost $24 million in a lawsuit against Fidel Castro, Raul Castro, and the Army of Cuba. In another case against Cuba, we represented a former Cuban political prisoner who was purposefully infected with the hepatitis C virus – and argued that the viral replication process constituted a biological terror attack within the United States. One of my most hard fought cases took over 10 years. It resulted in the piercing of a Bahamian trust, and in the turnover of approximately $4 million in assets. That case sent a strong message against those seeking to hide away assets in that country.